Manufactured in Grande-Bretagne from 1949 until after 1951. 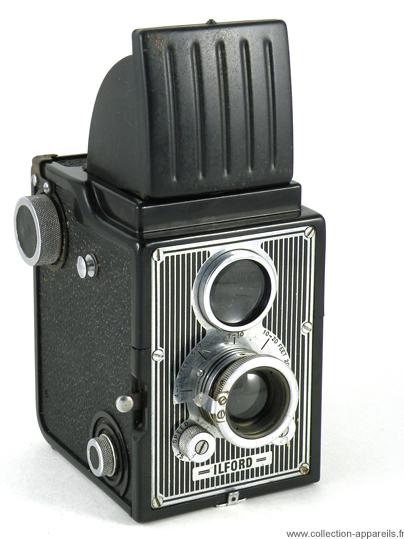 This is a pseudo twin-lens reflex. It means that the distance setting does not affect the view finding because the two lens are not mechanically coupled.